We examine in depth your Integral Inner Aspect and Field, as well as your energetic System of Communication. Welcome to Workshop Seven of the ONA Workshop Series. In this workshop, we will study Communication, the Seventh principle of ONA and the principle that underlies your Seventh Field and Inner Aspect (Integral), and System. All about your seventh System, Field and Inner Aspect. 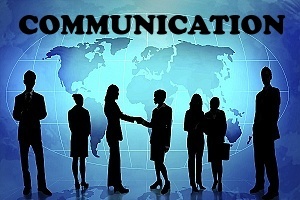 Communication is the state of enabling communion, or oneship, with another or others. As individuals, you have our own states, possessions, feelings, thoughts, plans, and awarenesses; but, unless you can communicate these things to others, they cannot impact the Whole of All That Is. They are part of the All, but at the same time, apart from the All. Communication brings them into the awareness of the other parts, making Wholeness possible. How to meditate using the Vocal Warm-Ups Breath. Start at a basic note (middle C is within most people&apos;s range). Hold for twelve seconds, then move up to C#. Hold for twelve seconds. Repeat for the twelve notes to Bb. If desired, and you are able, repeat for another octave. All about the color of Communication (blue). This color allows you to use your imagination and express ourselves artistically. When you are in contact with this color in your life you tend to have creative outlets and yet remain practical in the ways in which you express this. It is essential to clear any obstructions and large blocks to wholeness in the Fields and Inner Aspects. This will promote health on all the levels of your being or that of your clients. Issues and conditions occur in the fields long before they ever manifest in or on the physical body. Thus it behooves you as a practitioner of ONA to clear your own Fields and Inner Aspects first and then those of your friends and relatives and clients as well. Follow the simple and easy method of clearing that follows. Complete each step. Clearing the Fields and Inner Aspects is always done prior to tuning them.